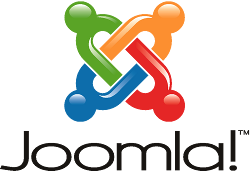 The amount of extensions on the Joomla Extensions Directory (JED) that are given away for free is astounding. Free extensions vary from simple plug-ins to comprehensive packages and support is often just as good or even better than some commercial extensions. Some developers provide a facility to contribute financially if you find the extension useful but many do not. The least I can do is say "thank-you" via the review feature in JED and I do this periodically. To leave a review you need to create a JED account if you don't have one already (it's free). I encourage everyone to take five or ten minutes to register an account and provide feedback to developers to show their work is appreciated. This hopefully encourages developers to continue updating and supporting the extensions that many of us find useful. Tagging extensions as "favourites" is another handy feature that I use to help me find extensions I have used previously. Some of my latest finds and reviews are as follows. Heatmap shows graphically where users are clicking on the front page of your website. This makes it easy to see which content is most popular and help optimise your content. A great looking weather module that is easy to install and configure. The developer is doing an excellent job of keeping the extension up to date when the Weather APIs have changed. Plotalot is an awesome component that enables you to plot data from the database. I found it much easier to use that I thought it would be and the documentation is excellent if you need it. There is a very reasonable charge for the plug-in which enables you to insert plots into articles. I am using Saxum IPLogger on a client website so that registered user logins can be tracked. Reports can now be provided showing how often registered users log in to training courses. A CSV export option would be perfect and hopefully this will be a future enhancement. There are so many slideshow extensions but I like Slideshow CK because it is responsive, unlimited images can be included, images can be linked to unique URLs, image captions can be enabled, and most of all, only the first image is loaded when the page loads initially. This means you can include as many images as you want in the slideshow without affecting the initial page load speed. I tested a few Twitter feed modules after RocketTheme stopped support for RokTwittie and this one is the best! The styling is simple so the module fits in well with many different styles of website, there is an option to disable the link back to the developer website and leaving the width field blank makes the module responsive.